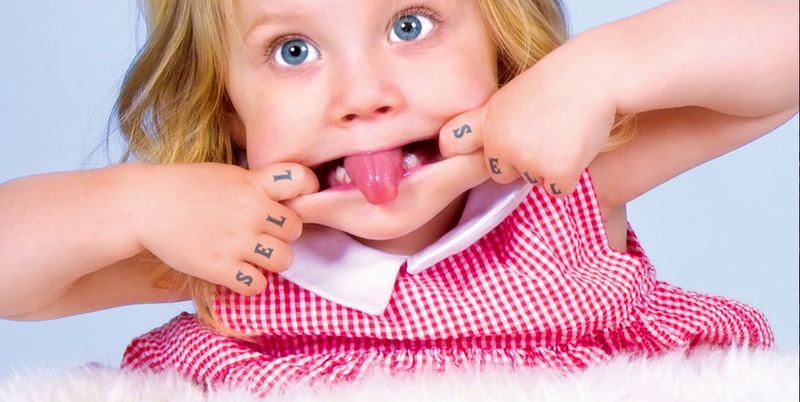 Alex Varanese has created a collection of fictitious ads as seen above, entitled 'ALT/1977'. 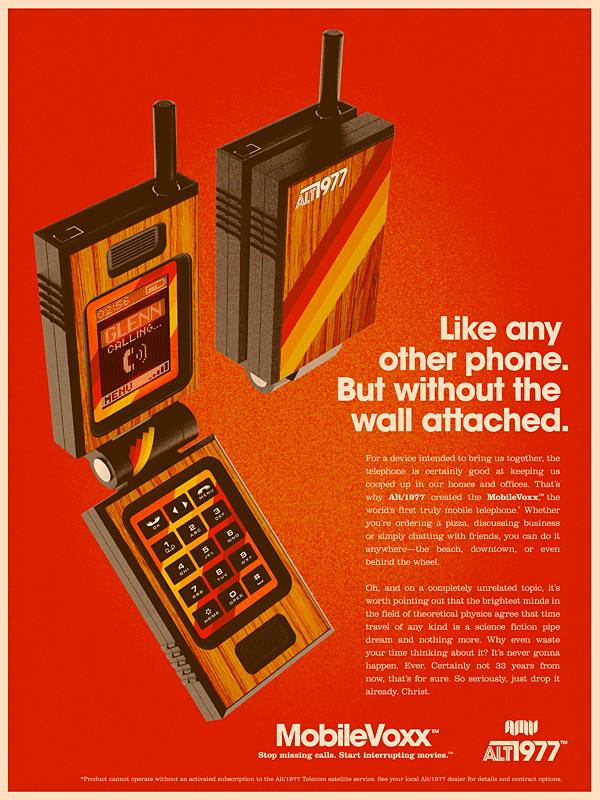 The anachronistic series focuses on four common tech products of today; an mp3, a laptop, a mobile and a handheld video game system that have all been re-designed in true 70's style. 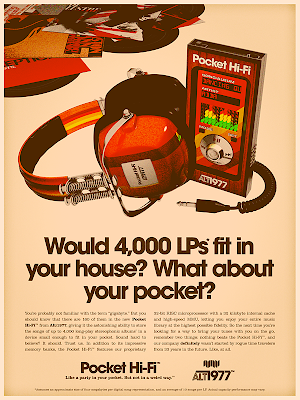 1977 to be precise. The product re-designs are super and the headline copy is rather nice too. 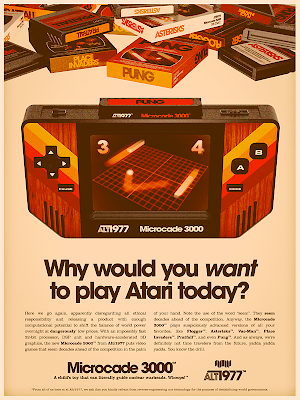 Why would we want to play Atari today? Probably because of Pitfall! Dangerously addictive. See the full set on behance here. These are brilliant! They look so genuine. 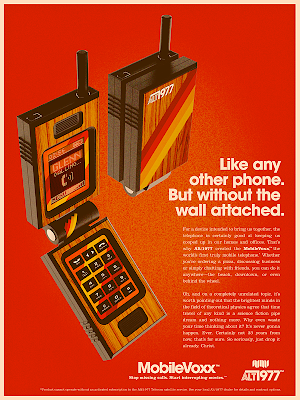 Even have that awful orange/brown colour scheme that everything had back then . 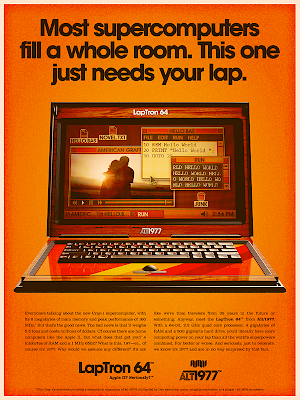 (Not that I would know, I wasn't born until 10 years after 1977) I love 'laptron 64' - they should call laptops names like that! 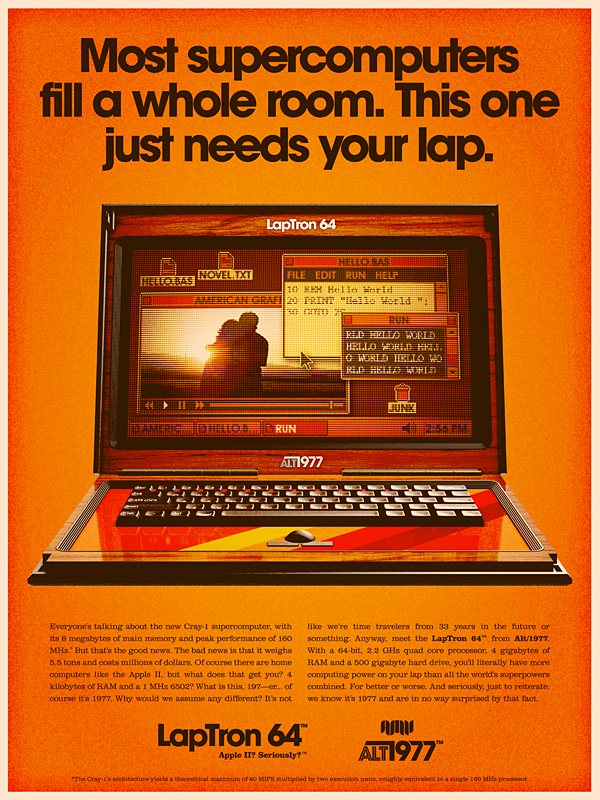 Nice attention to detail on the atari games in the last one too and in the small print.